These villas have made it onto our hotlist. Will they make it onto yours? We’ve got plenty of beautiful beachfront villas across our portfolio - so this is just a tiny sample of those on offer. 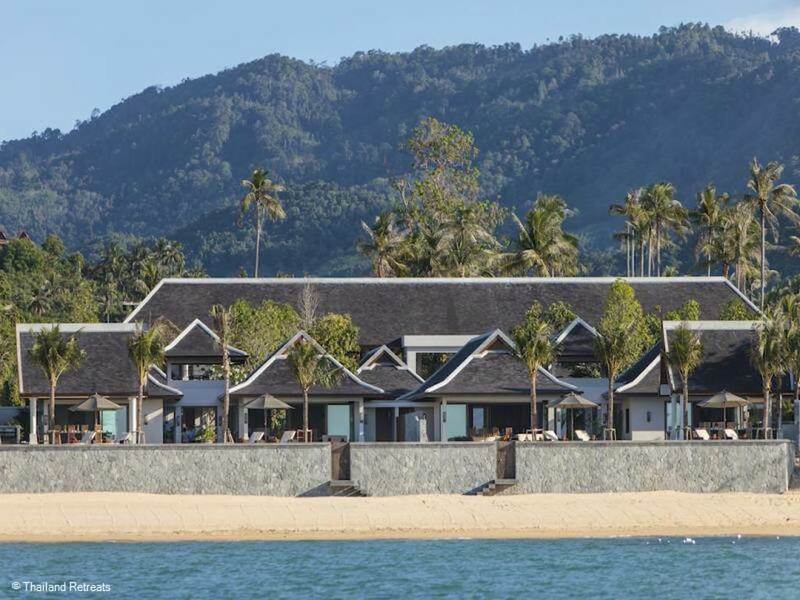 For more, check out our Koh Samui beachfront villa collection. 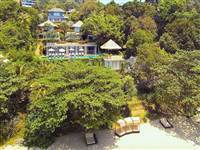 We’ve selected villas across different beaches in Samui, from Bophut to Laem Sor. Koh Samui has so many beaches and each has a different charm. We believe each of the villas we have selected here has its own charm too. 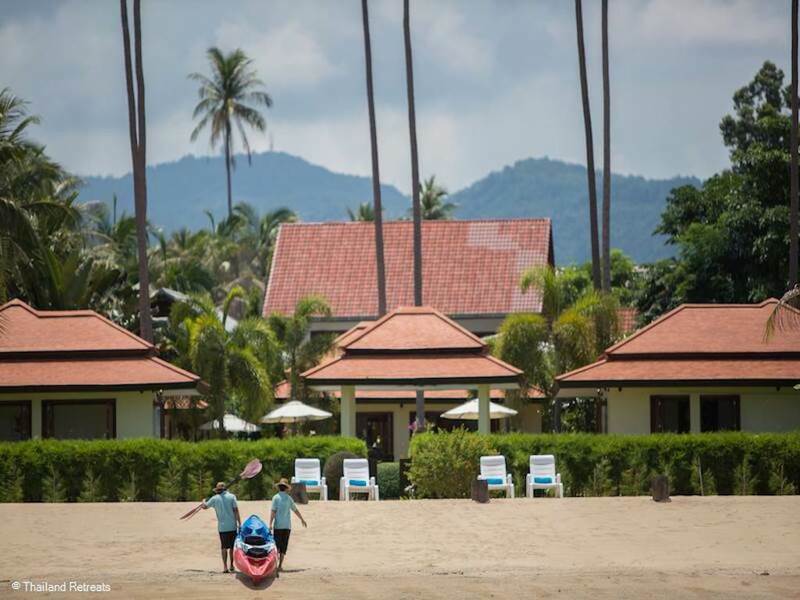 What’s common across all of the villas we have chosen is that they are all set directly on the beach. So within as little as a few seconds, you can pitter patter barefoot onto the sand and then easily retreat back to comfortable surroundings of your villa. There will be no need to spend time loading up the car, only to find something essential has been left behind. You really will relax. 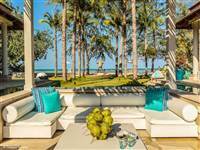 We love this villa because it’s on a truly tranquil bay in Laem Set on the south coast. In the summer, low tide allows you to wander the shore and down to the sea. The perfect spot for relaxing and enjoying island life. From here you can try sea kayaking or take boat trips to other islands. 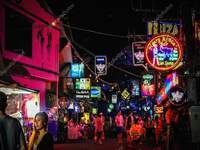 You can drive to busier Lamai within 15 minutes and there are a range of restaurants nearby. Read more. 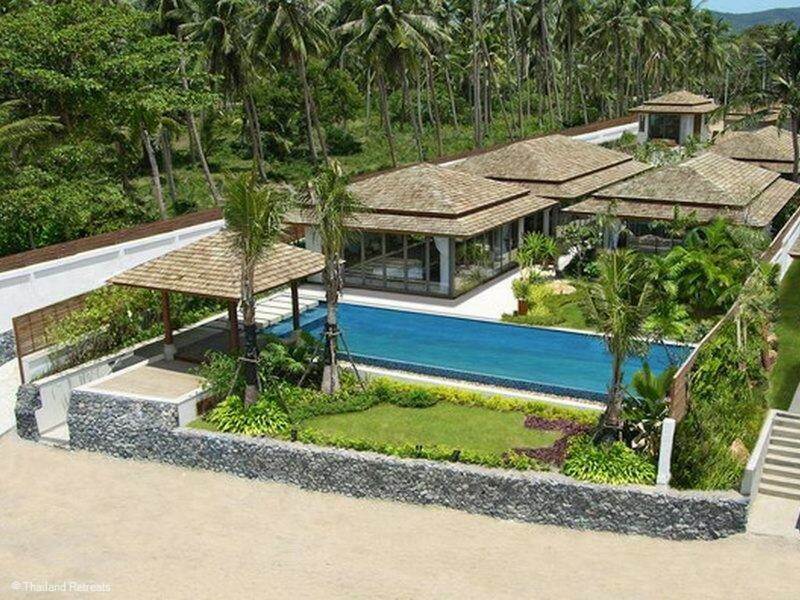 This villa sits directly on Lipa Noi beach and it boasts a private infinity edge pool. It has breathtaking unobstructed views. 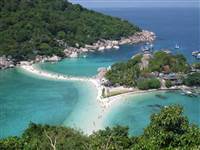 Lipa Noi is a quiet beach with very few tourists and calm, shallow waters. Perfect for those seeking tranquil relaxation. Read more. This is the perfect villa for large groups and even wedding celebrations. It’s right on the sandy beaches of Maenam. 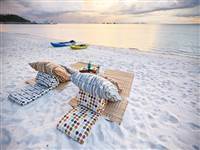 The sand here isn’t as sugary white as that of Chaweng, but you will find natural beauty and the right balance of tranquil calm, with still enough choice of restaurants and bars. Read More. Choeng Mon beach itself is simply a tropical beauty and at the end of the beach is a small island you can adventure to at low tide. 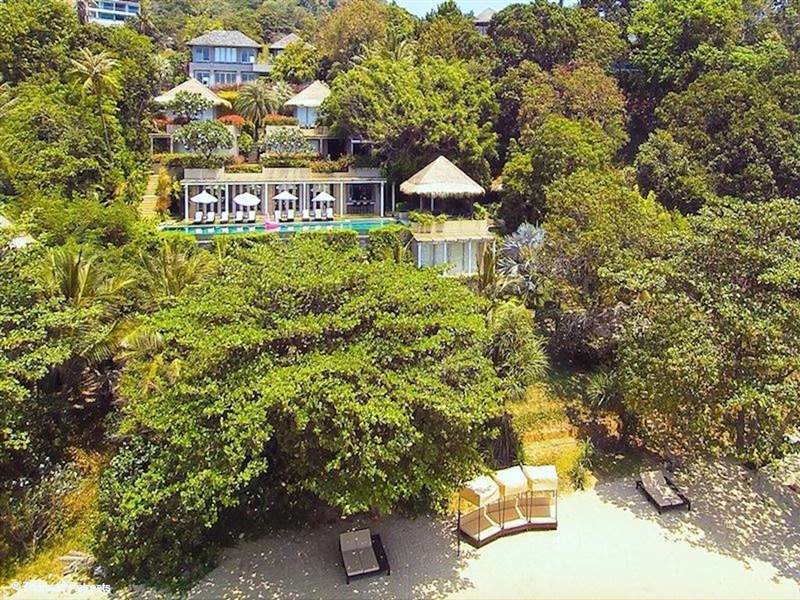 This villa is amazing and built over a series of wide, landscaped terraces that lead directly down onto the beachfront of a small adjacent cove. This is perfect for groups and suits a lavish wedding or family celebration with 9 double bedrooms and 2 dorms that can sleep up to 18 adults & 14 children or young adults. Read More. 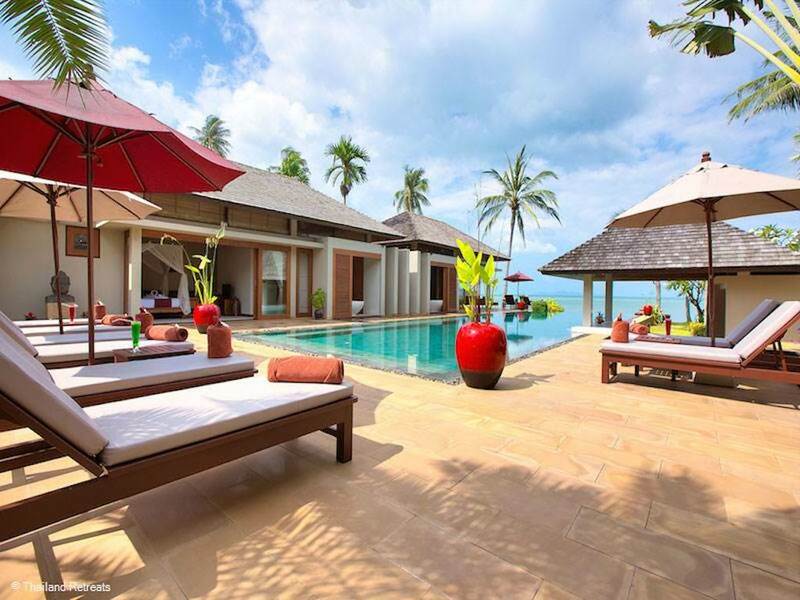 So which Koh Samui villa on the beach will make your hotlist?